For generations of Canadians, the silhouetted image of curly-haired Terry Fox hop-stepping as he runs along a lonely stretch of the Trans-Canada Highway, has burned into our collective consciousness. His 143-day, 3,339-mile Marathon of Hope was filled with scenes of triumph and pathos. Fox seemed to run in a state of exuberant torment. It ended tragically just outside of Thunder Bay when the cancer that claimed one of his legs was found to have spread into his lungs. He died before reaching the age of 23. His Marathon wasn’t completed, but the Hope part lives on. 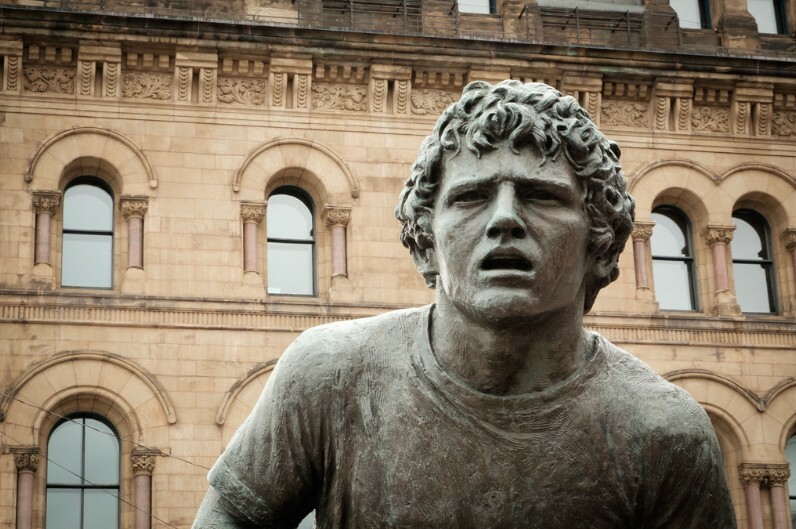 Since 1989, The Terry Fox Run has raised over $750-million world-wide. His other Hope was that it would spur on others to find their own journey and seek holistic ways of helping their neighbours. That’s still a work in progress. 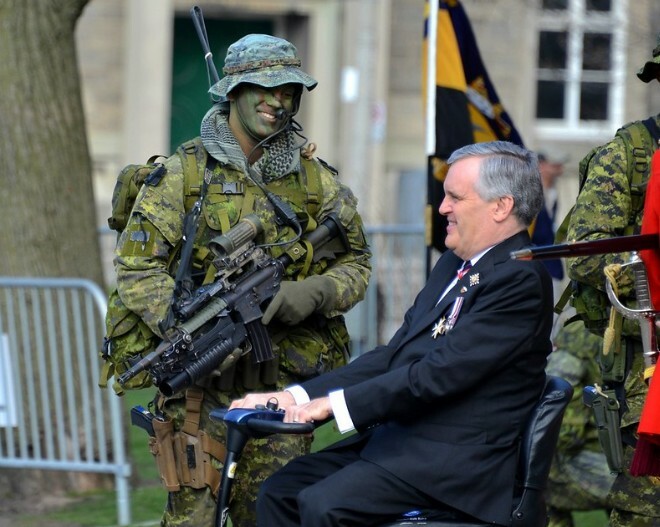 Last month, David Onley, the former lieutenant governor of Ontario, who was tasked with reviewing the province’s accessibility legislation, finally issued his report. It was a withering condemnation of municipalities and builders who have stalled in efforts to implement aspects of Bill 118, the Accessibility for Ontarians with Disabilities Act (AODA). Cities are required to take a step-by-step process to be in compliance with the AODA by 2025. The response, said Onley has been tepid at best, and the barriers arising for the disabled continue to mount. The response to the Onley rollout from the Doug Ford government at Queen’s Park has been almost non-existent. AODA took effect 14 years ago and was to be a blueprint for similar legislation in other parts of Canada. Onley told Canadian Press that Ontario has now imposed “soul-crushing” barriers on the disabled. Given that the government is in a cost-cutting mode (everything from university funding to mental health claw backs to helping those afflicted with autism and cuts to our schools), the expectations are low that any recommendations in the Onley Report will be acted upon. The former LG said the disabled are barred from full inclusion at almost every turn in Ontario; he compared it to the long-abolished Jim Crow laws in the U.S. that perpetuated racial discrimination. The Ontario Building Code was updated in 2015 to include more accessibility requirements for new office, industrial and multi-residential buildings. That has significance in a province where about 15 per cent of the population has some form of disability, according to Statistics Canada. The Code requires that 15 per cent of homes within a new multi-unit residential building have a barrier-free path. It also means doors and hallways must be wider for a wheelchair, and ramp dimensions have been updated to make these new buildings accessible. But Onley’s report wants more – a total repudiation of discrimination that actively shuts people out from services. Ontario’s first disabled LG, spent a lifetime being barred from restaurants, stymied by stairs, turned off by hotels with inaccessible washrooms, and blunted by beds built too high for him to climb on to from his motorized scooter. Onley, now 68, and long past his seven-year stint (2007-2014) as the province’s LG, said only wide-ranging action can stop an “ongoing cycle of human rights violations. This is a matter of civil rights, and people with disabilities are being discriminated against on a daily basis in multiple ways,” he told CP. The Midland, Ontario native contracted polio at age three, but that never stopped him from achieving many of his life’s goals, including a long stint as a reporter on CITY-TV. The Accessibility for Ontarians with Disabilities Act Alliance said earlier this year that the “radio silence” from the Ford government over Onley’s report is disturbing. Last summer, the PC government froze the work of three committees working on accessibility in order to give new Minister for Accessibility and Seniors, Raymond Cho, a chance to be briefed on these issues. Now that Onley’s report is on the table, the Alliance is eager to see those committees renewed, and Onley's 15 recommendations implemented. They include a redesign of the provincial education curriculum to focus on accessibility as early as kindergarten and extending through the post-secondary years. He also wants to see the kind of campaign that brought public smoking and environmental protection to public prominence, used to help spur on accessibility. He put a target on architects and their educational efforts, and noted trainees learn virtually nothing about inclusive design. He also favours tax breaks and incentives for those improving accessibility in public buildings and private homes, and a lift on freezing new access standards in areas like healthcare and education. Onley's report was welcomed by advocates, who said his findings should be implemented right across the country. Mere days after the Report was issued, Brampton announced the opening of The Creditview Activity Hub. It’s the city’s first fully accessible and inclusive play space. While some playgrounds offer a few accessible features, all parts of Creditview are fully compliant with AODA requirements, and the Design of Public Spaces legislation. Construction of the 100-acre park began in 2004, and was completed in 2005. Phased construction occurred since then (usually every other year) to implement additional facilities. The Hub is the final phase of Creditview Park. Everything – the parking lot, playground, picnic areas, walking trails, comfort station and splash pad – was designed for users of all ages and abilities. • A 10-station fitness circuit was built for teens, adults, seniors, and people with disabilities. The City’s Accessibility Technical Standards incorporate a belief in universal design, a term coined by architect Ronald Mace to describe the concept of designing all products and the built environment to be aesthetic and usable to the greatest extent possible by everyone, regardless of their age, ability, or status in life. It was Selwyn Goldsmith, author of Designing for the Disabled (1963), who pioneered the concept of free access for people with disabilities. His most significant achievement was the creation of the dropped curb – now a standard feature of the built environment. Universal design emerged from slightly earlier barrier-free concepts, and is being applied to the design of technology, instruction, services, and other products and environments. In Weesp, a small town in the Netherlands, a specially designed village called Hogewey has been built for people with dementia. The name might sound like something fresh out of Harry Potter, but it offers inhabitants a holistic approach to care: daily grocery shopping, restaurants, bars and theatres. Residents can roam through the community’s streets, parks and gardens with total access and a maximum in privacy and safety. Earlier this year, a one-day Information Technology Association of Canada (ITAC) Smart Cities Technology Summit was held at the Rose Theatre and co-sponsored by the City of Brampton. It explored IT applications to help cities and municipalities develop their own innovative platforms to best serve their citizens’ needs. Tracey DeLeeuw, commercial technology products leader, Global Markets, EY Canada (a global consulting firm that specializes in progressive approaches for corporations to align profits with a more human way of doing business), offered expertise in the transportation sector, and pictured a future where stakeholders – users, governments, academia, and businesses – join an interactive network that serves all needs. She said future designs will give options to an aging demographic. With our demographic reality, new-age scooters will one day fill our sidewalks, and cities must build them wide enough to accommodate these types of vehicles. The exact opposite was true when the city moved forward with the $205 million city hall expansion/renewal project on George Street. Now-retired Wards 9 & 10 Regional Councillor John Sprovieri was outraged at the time to see the sidewalks actually narrowed to accommodate the building. It was constructed so close to the street, with little room for pedestrians, that trucks hit the corner of the structure after its completion. Brampton’s 2040 Vision, a strategic plan to create our future, put together with input from 13,000 residents, hopes everything will run through a transportation network with looping public transit connectivity, and include walking, cycling and virtual networks, plus new travel technologies. Brampton’s Downtown Reimagined plan was eager to create a vibrant urban centre, with aesthetically beautiful streetscaping around the historic Four Corners. It was all about ease of access. The project was put on hold by council because cost estimates continue to climb. And the Riverwalk project is a massive, ambitious plan to transform an entire central corridor along Etobicoke Creek into an accessible network of parks, waterfront trails and natural urban spaces for people to gather. 100 percent accessibility (by 2025) for the Region of Peel’s TransHelp, which assists eligible residents in Brampton who confront barriers to using conventional public transit due to physical, cognitive, visual, sensory or mental health disability. Assisting the disabled becomes even more crucial as our population ages. On July 1st, 2015, Canada crossed a “magic line” and confronted a new demographic reality. Statistics Canada reported there are now more people age 65 and older (16.1 per cent) than there are youngsters, 14 and under (16 per cent), a marginal difference, but profound in importance. The new reality will impact almost every sector in our society. More pressure will come to bear on our healthcare system. Aging brings a new set of problems to our social service agencies in Peel Region, especially treatment of dementia and Alzheimer’s. Statistics Canada says this older demographic is growing four times as quickly as the population at large. Can our system bear the new accessibility challenges sure to arise from such a surge? The Ontario Retirement Communities Association (ORCA) located in Oakville sees the province adding more independent living units as Canada's seniors' population more than doubles over the next 21 years, to 10 million. By 2036, one quarter of Canada's population is forecast to be 65 and older, up from 15 per cent currently. "We do expect a slow growing boom," association CEO Laurie Johnston told Canadian Press. Beautiful new and innovative retirement homes have sprung up in Brampton over the past decade. Most are models of accessibility. In January 2014, it was reported that Greenwood Retirement Community Inc. purchased the former Holiday Inn with the purpose of converting the hotel into a 160-suite independent retirement home for seniors. Today, it’s home to many seniors. In order to make sure the structure built in 1979 was safe and senior-friendly, renovations included eliminating a multi-level atrium, demolishing numerous steps that led to the bar and installing shut-off valves for water. Renovate it and they will come too. In so many ways, public or private long-term care homes, are driving the changes that need to be implemented in the building industry. For Onley and others, molehills are mountains when it comes to mobility challenges. A light dusting of snow might clog up the tires on his scooter. A set of stairs stops him dead in his tracks. Improperly maintained ramps strike fear in him and other users. Inclusion is a word used by people with disabilities to advocate for those with physical, mental or emotional impairments. Those disabilities can be physical, as well as mental and emotional. The Onley Report wants to ease entry points into society for those identified as disabled. According to United Nations numbers in a recent report, 10 percent of the world’s population has a disability. Many of them subsist below the poverty line. The need for accessible and affordable public transit is acute. The UN report suggests persons with disabilities tend to be poorer than the able-bodied. And a wheelchair accessible bus does no good if a disabled person has difficulty getting to the bus stop. The transport chain has to be strong, with every link in the chain secure, from front door to destination point. The term ‘disabled’ seems horribly outdated considering the accomplishments of people like Onley or Fox. The former said AODA's current language stresses that disability is a medical issue rather than one of social exclusion. He wants to change that, and see his recommendations implemented well before the 2025 timeline. If not, the realization might set in that we have become a more exclusive state, devoid of hope for hundreds of thousands shut out from full participation. Some changes have been implemented, and they are inspirational. In 2017, Toronto hosted the Invictus Games, a parasport event for wounded, injured or sick armed services personnel and their associated veterans. The Pointer recently talked to Canadian Army Warrant Officer (Retired) Tom Martineau who, while on a military tour in Bosnia in 1994, was shot by a sniper. The bullet hit his spine and caused paralysis to both of his lower limbs. Some internal organs were also damaged and removed. That was 25 years ago. Today, he is back to near full-function and took part in the golf and wheelchair basketball events at Invictus. He was at Oakville’s Glen Abbey Golf Club last weekend as Golf Ontario announced that it is partnering with the official host-course, Woodington Lake Golf Club, to launch the first ever Ontario Disability Golf Championship. It will take place on August 24–26 at the course in Tottenham, just north of Peel Region. This inclusive event will ensure a proper pathway and better competition opportunity for some of the highest performing disabled athletes. It will be included in the list of events eligible for world ranking points and will see both men and women compete in a range of skill levels. It’s the first “ranked event” for disabled golfers in Canada, and follows a path already laid down in Europe and the United States. One parasport advocate at the press conference said Canada is at least four or five years behind these jurisdictions in how we treat our disabled. Martineau not only overcame his physical injuries, but two failed suicide attempts. This is the “invisible” killer that afflicts many of those who have been maimed or traumatized by war. Playing for Team Canada at the Invictus Games was one of the highlights of his life, he said. Martineau has been very active in Soldier On, a support system serving military members and veterans to overcome their physical or mental health illnesses or injuries through outdoor sporting or recreational activities. It’s simple. It comes down to making our world inclusive and accessible for everyone, including fallen heroes who need to be helped up. Fox also soldiered on after being diagnosed with osteosarcoma and watching as his right leg was amputated in 1977. He was running on his new artificial leg three weeks after the operation. He also played wheelchair basketball and won three national championships before dipping his artificial leg in the Atlantic Ocean in April of ’80. His plan to do the same in the Pacific Ocean a few months later, was cut short by that dreaded disease. Still, he refused to regard himself as disabled, and told the media he found life more "rewarding and challenging" since he had lost his leg. His enormous feat helped redefine Canadian views on those with a disability. His mentor, Rick Hansen, said the run challenged society to focus on ability rather than disability. It’s stunning to think that next year will mark the 40th anniversary of his globally-celebrated run. Beyond the 9,000 Terry Fox runs in Canada there are similar events held in about 30 other countries. In Cuba alone, about 2.6 million people have joined in the run in one year. His legacy is secure, and the millions his run has raised for cancer research is a heartening reminder of what can be accomplished. His image is still indelibly imprinted in the hearts and minds of Canadians coast to coast, and every year local residents take part in Terry’s run. It’s about beating cancer and imploring everyone to make our world more accessible, so we can all reach our potential. 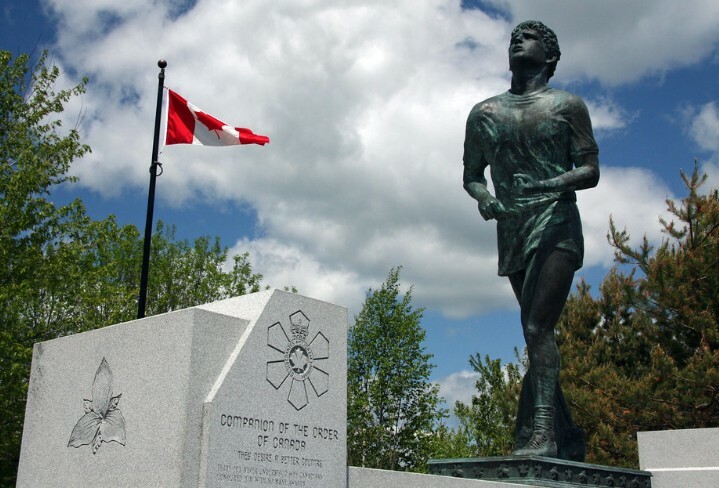 The 2019 Brampton Terry Fox Run is scheduled for September 15, beginning (where else) at Terry Fox Public School at 95 Richvale Drive North. Of course, it’s wheelchair accessible!